Thanks to Gary, Chicago, for the pic. Perfect. Who will this feckless president blame then? No one, of course, because he will no longer care. 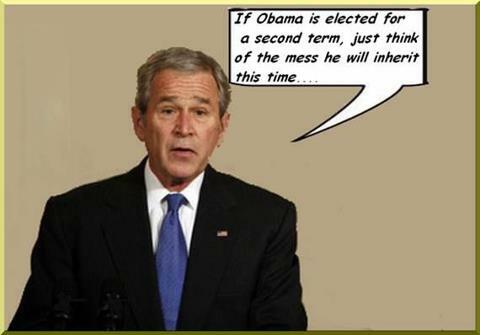 He will have four years to complete the destruction he didn’t finish during his first term. We have to stop him on November 6! Perfect! Who will he have to blame? No one, of course, because he won’t care. He will have four years to complete the destruction that he didn’t finish during his first term We have to stop him on November 6!!! Now that is funny. Thanks for sharing, Bob. Thanks for the comment, LD. I have kindof been out of all day. Thanks, Susan. Cabbage soup for breakfast? I knew you yankees were weird.Thank God we won the war. Gotta have grits and eggs for breakfast. That’s the deal.